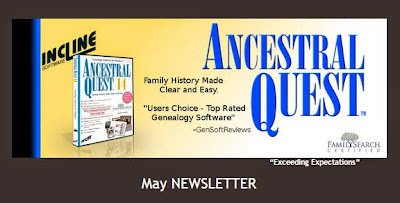 While Ancestral Quest is a place to enter your ancestral information, it also has tools to help you research those ancestors in order to add new generations and fill in family information. 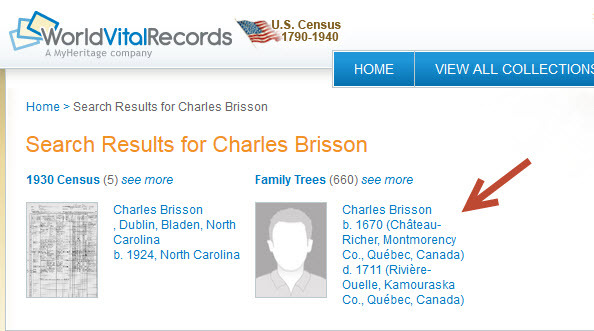 One can choose from this point to search Ancestry.com, FamilySearch.org, WorldVitalRecords.com or go to my own list of "Favorite Sites" and see the results of my search. 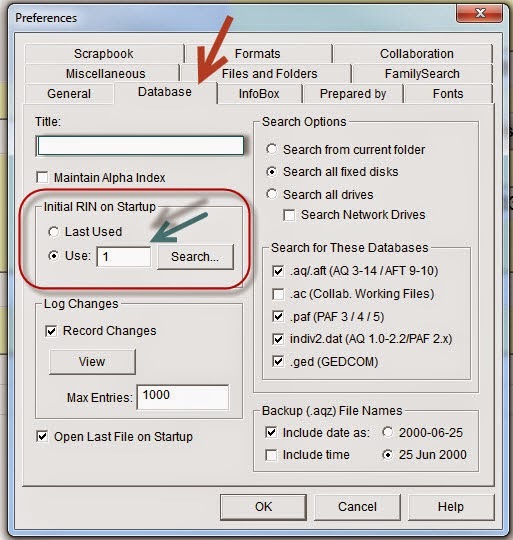 In reality, one needs to check each one out to see what information is available and what documentation is there to back up that information. 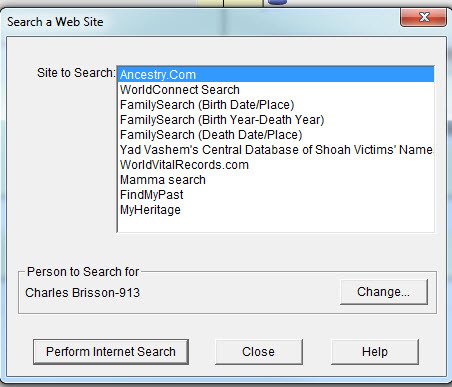 Details (Sources) were provided with the FamilySearch entry and clicking the section from World Vital Records which is now owned by MyHeritage required a subscription, however, if you are in a Family History Center that is available for free. Additional searchable websites can be added to the 'Favorites' and this research tool can be used to help extend your ancestral lines and fill in missing family members. 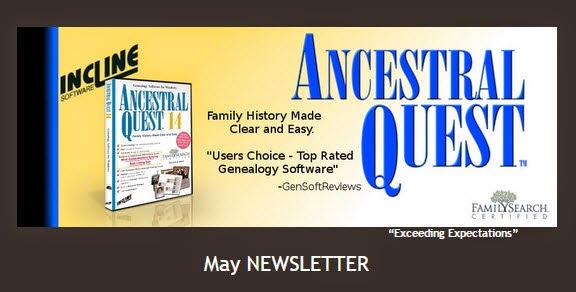 Ancestral Quest has a monthly newsletter that you should be receiving by email. If you are missing any of the newsletters, they are now available here: Newsletter Archives. Learning about all the great features in Ancestral Quest will definitely help improve your research skills and in locating those elusive ancestors! Ever want to change the "Home" person in your Family File? 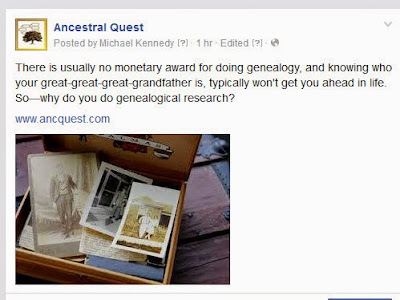 This is not a difficult thing to do and is accomplished with a few clicks in Ancestral Quest. First you determine who you want in the #1 position, it doesn't matter what their RIN number is to be there, just write that number down or remember it. 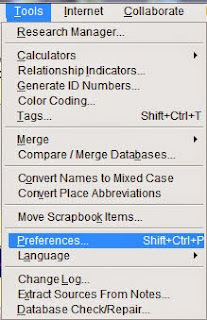 Once you have clicked on the "Preferences" you'll need to go to the "Database Tab", note that the default tab is "General" so when you open preferences it will go to the General Tab. We have circled the area where you put the RIN number of the person you want in that "Home" position. Once you enter that number, click on "OK". 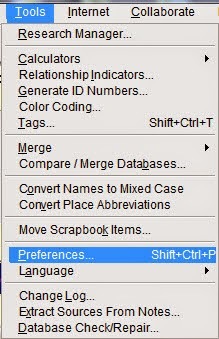 That's it, now that person will be in the main position when you click on the "Home" Icon at the top of the program. 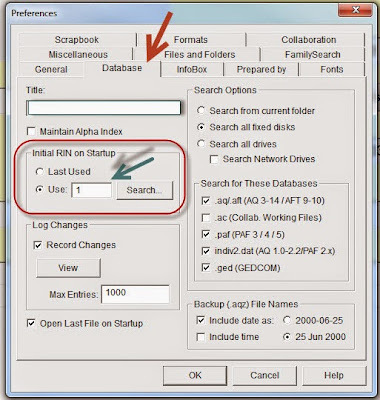 As long as you use the Icon you'll be able to get to the 'Home' person in the Pedigree or the Family View.